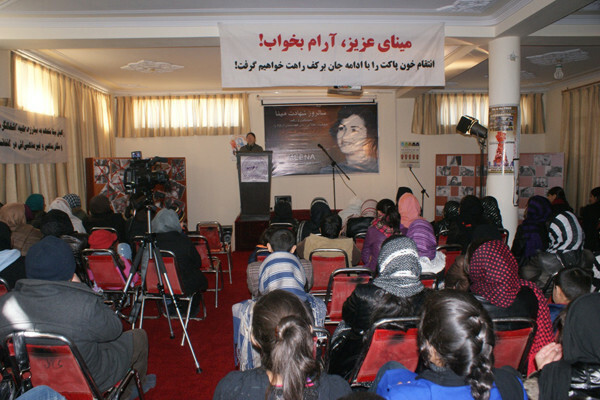 On February 6, 2012, the Revolutionary Association of the Women of Afghanistan (RAWA) commemorated the 25th anniversary of the martyrdom of our leader Meena in Kabul. Due to heavy snowfall that blocked the roads, the function had to be delayed. More than hundred girls and women attended the function which started in the morning and stretched till afternoon. 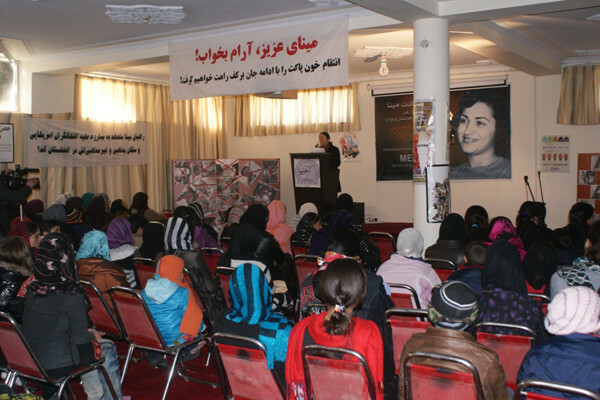 The hall decorated with Meena’s photos and banners with oaths of continuing her glorious path, and calling on women to continue struggling for a better Afghanistan. 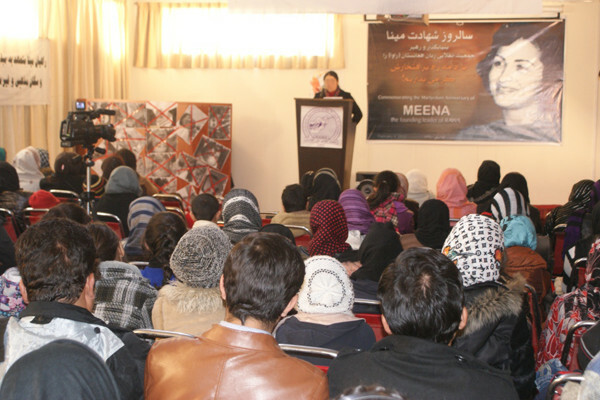 Meena established RAWA in 1977 with a handful of young progressive girls in Kabul. Despite unspeakable hardships she was able to nurture RAWA by attracting hundreds of women and managed to set up social welfare projects for them. She also got the world's attention to the plight o her country in a few trips abroad. 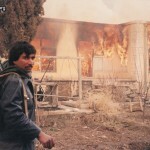 Meena was assassinated in Quetta, Pakistan on February 4, 1987 when she was just thirty. KHAD and their fundamentalist partners planned the conspiracy, killing two of Meena's accomplices as well, because Meena had become a serious threat to them. A famous Iranian poet Riza Farmand dedicated a poem to Meena, called “Meena”. The poem was recited by a girl in the function. Azada declaimed the Pashto translation of the poem written by Meena, “I Will Never Return”. 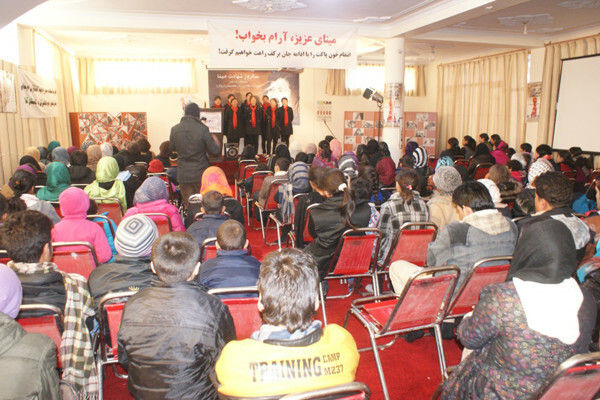 A couple of empowering songs dedicated to Meena and the pained Afghan women were also sung. The function ended with a slideshow depicting Meena’s life, RAWA’s political and social activities and images of women’s struggles from all over the world. Although, we still mourn the loss of our great leader, her short life is a bubbling spring of inspiration for us and for freedom-loving women all over the world. Our enemies may have killed our great leader but her sacrifice has lightened her path for generations to come. RAWA students singing a song. 01.06.2010: Peace with Criminals, War with People! 07.05.2009: Let’s rise against the war crimes of US and its fundamentalist lackeys!